[S205] Newspaper, Onaga Herald, 30 Nov 1939. [S205] Newspaper, The Hampshire Advertiser, January 03, 1894. Lida Beal was born on 21 September 1766 in Phippsburg, Maine.1 She married William Sewall, son of William Sewall and Sarah Chisam. [S365] Eben Graves, The descendants of Henry Sewall. Vol. II (Unpublished), p. 318. [S365] Eben Graves, The descendants of Henry Sewall. Vol. II (Unpublished), #102. [S102] Annie Haven Thwing, Inhabitants of the Town of Boston, 18467. [S232] Ancestry.com, Maine, Marriage Records, 1713-1937 for Jennie Christiana Brown. Perry Ashley Bean was born on 4 March 1881.1,2 He was the son of Amos Gilbert Bean.1 Perry Ashley Bean married Jennie Christiana Brown, daughter of Wilbur Eugene Brown and Flora Olive Sewall, on 30 June 1913 in Orono, Maine.1 Perry Ashley Bean died on 1 January 1957 at the age of 75. [S392] Website findagrave.com (http://www.findagrave.com/) "# 58745525." [S353] Fred Q. Bowman, 10,000 Vital Records of Central New York, p. 132. [S114] D.G. Crawford, Roll of the IMS, G632. [S232] Ancestry.com, London Metropolitan Archives, Marylebone Presbyterian Church, Register of baptisms 1884 - 1900. [S117] The Times Newspaper, Saturday, Jan 27, 1940. [S470] Scotland, Old Parish Registers, 693/00 0080 0256. [S218] 1861 British Census, Malew, Isle Of Man. The London Gazette of 17th March 1915 notices his appointement as Cavalier of the Order of the Crown of Italy. [S117] The Times Newspaper, 1948. [S117] The Times Newspaper, Oct 18, 1974. [S89] Family Search, England and Wales Birth Registration Index. [S89] Family Search, Isle of Man Parish Registers. [S117] The Times Newspaper, 23 Aug 1933. [S232] Ancestry.com, Scotland, National Probate Index (Calendar of Confirmations and Inventories), 1876-1936. BEATSON, GEORGE STEWARD, M. D. (d. 1874), surgeon-general, graduated in arts and medicine at Glasgow, where he took the degree of M. D. in 1836. In 1888 he joined the army medical department, and did duty on the staff in Ceylon from 1839 to 1851. He was surgeon to the 51st foot in the second Burmese war, and subsequently served in Turkey during the Crimean war, where he rendered valuable services in the organisation of the hospitals at Smyrna. After serving as deputy inspector-general in the Ionian islands and Madras, he became surgeon-general in 1863, and was appointed principal medical officer of European troops in India, an appointment which he held for the customary five years. For the next three years he was in medical charge of the Royal Victoria Hospital, Netley; and in 1871 was appointed principal medical officer in India for the second time. He was appointed a C.B. in 1869. He died suddenly at Simla on 7 June 1874. 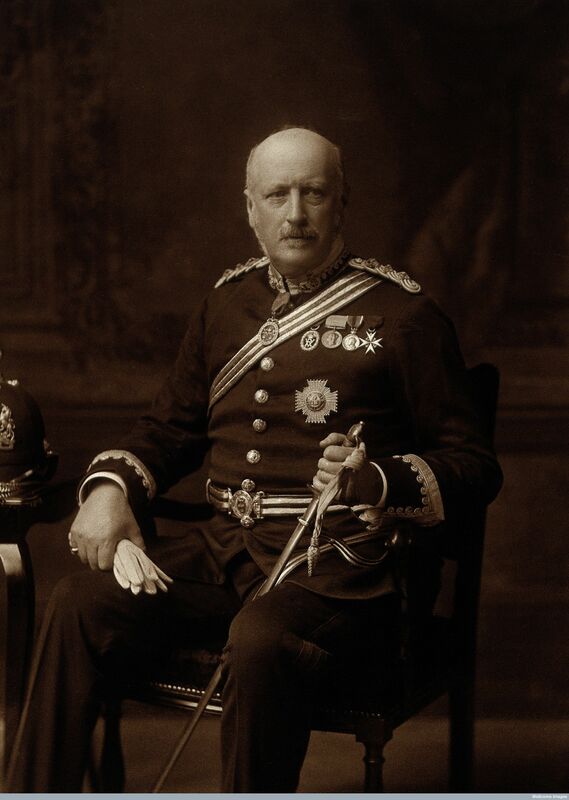 Beatson, who was an honorary physician to the queen, was accounted one of the ablest officers in the army medical service, but it is in the records of the deportment, at home and in India, rather than in professional literature, that his labours will be noticed. Dictionary of National Biography, Vol. 2, p. 21. [S57] A. Peterkin: 1660-1727 and William Johnston: 1727-1898, Medical Officers in the British Army, 4517. [S205] Newspaper, The Aberdeen Journal (Aberdeen, Scotland), Wednesday, December 10, 1845. [S117] The Times Newspaper, Dec 28, 1923. [S205] Newspaper, Glasgow Herald (Glasgow, Scotland), Friday, November 13, 1846. Sir George Thomas Beatson was born on 31 August 1846 in Jaffna, Ceylon.1 He was the son of Surgeon General George Stewart Beatson C.B. and Mary Jane Cochrane.1,3 Sir George Thomas Beatson died on 16 February 1933 at the age of 86. Surgeon who pioneered a new treatment for breast cancer and has thus been called "the father of endocrine ablation in cancer management." [S205] Newspaper, Glasgow Herald (Glasgow, Scotland), Friday, August 15, 1856. [S205] Newspaper, Caledonian Mercury (Edinburgh, Scotland), Tuesday, October 12, 1858.